A model of a floating holder for growing (germinating) avocado seed or other plants. 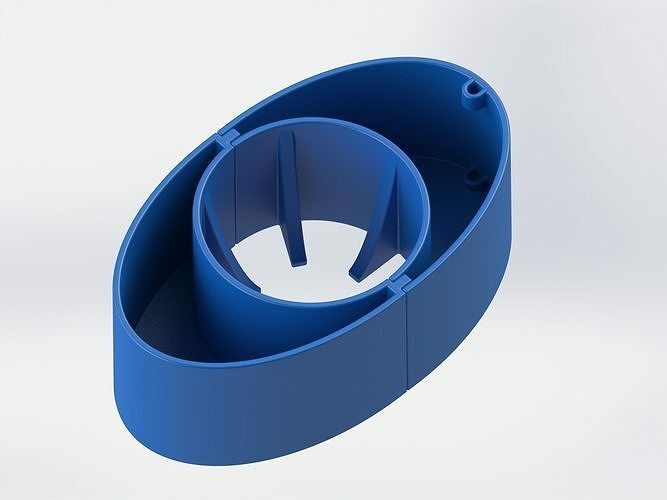 The holder is designed to handle seeds up to 60 grams (approx. 2 oz). If it is too small or too big for your seed, you may rescale the model to fit your seed better or ask me! The holder is designed in 2 separable parts. The parts can be attached together when in use and detached when needed. This makes it easier to remove the seed when the root system has grown larger than the hole. 3 STL files are available. 1 file for printing the parts together and 2 other files for print the parts separately.